It is clear from the numerous amount of PPC programs that are entering the online advertising market that there is still space for new programs and companies to enter. One of these pay per click programs, Ad Dynamo, was created in 2009 to gain some of the success Adsense and AdWords had gained for Google. However, after attempting to use them numerous times from an advertiser and publisher perspective, I can clearly state that AdWords and Adsense is still by far the best of them all. 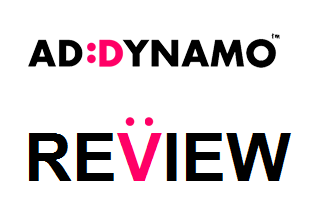 Before I start the review, let me tell you a bit more about Ad Dynamo. They have looked at the success of AdWords and Adsense and tried to copy that while ironing out anything that the advertisers and publishers didn’t like about AdWords and Adsense. For one, Ad Dynamo understand there are people that are publishers and advertisers. Therefore, they join the accounts so that you have one universal account. I have to say, it is a lot easier to work with one account than two! The user interface of Ad Dynamo is also very pleasing to work with. Pink, although seems an extremely strange colour to pick, works. You have clear statistics about your advert’s success be it as a advertiser of publisher. However, being new to the market, they still don’t have the level of detail in the statistics that AdWords and Adsense offer. There is catching up to do still. As a publisher, I have been fairly disappointed with them (it reminds me of Infolinks: the CPC). You will be lucky to get a CPC average of $0.20 +. This is due to the low level of advertisers: there is less competition for ad positions on websites. This also makes the adverts not as contextual which reduces CTR. From this, advertisers don’t get clicks which results in them changing to alternatives such as AdWords. It’s a vicious cycle I believe Ad Dynamo need to get out of. If there are more publishers than advertisers, the publishers will find it hard to make money from the low level of demand (low CTR and CPC). This is good for advertisers though. If there are more advertisers than publishers, the advertisers will find that the CPC of adverts will rise. They will need to pay more per click to gain consistency in CTR. This is great for publishers. Balance between both advertisers and publishers will mean both advertisers and publishers will benefit from PPC. Programs such as AdWords and Adsense are balanced compared to Ad Dynamo. Whatever one of the unbalanced options Ad Dynamo is, it is clear they have too many one from the other. This is a problem which causes many problems. I have done quite a few posts about Ad Dynamo on my website that might be of use to you too. My opinion of them are slowly changing. With any new business, there are going to be flaws. Ad Dynamo have addressed these and aim to continually improve the experience for advertisers and publishers alike. After all, Ad Dynamo wouldn’t exist without them! Share your comment 1 responseTO Review – Ad Dynamo Pay Per Click Program.